A powerful blend of only the finest natural ingredients that satisfy your basic daily nutritional requirements in one delicious drink. 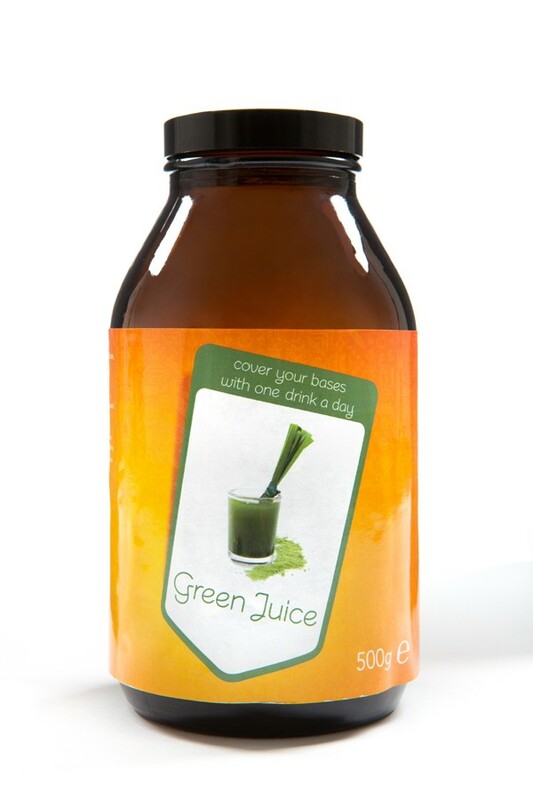 Superfoodies Green Juice – satisfies your basic daily nutritional requirements in one delicious drink! A powerful blend of only the finest natural ingredients, including organic vegetables, fruit, herbs and algae. 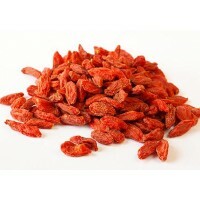 A delicious alternative to green smoothies and vegetable juices. Quick and easy to prepare (just add water). 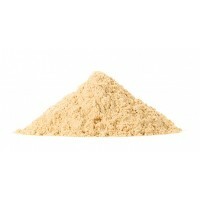 Boasts an irresistibly fruity flavour (thanks to the natural fruit powders that it contains). Satisfies your basic daily nutritional requirements in one single drink. Ideal at breakfast or directly before / immediately after exercise. Made from 100% natural ingredients and free from artificial additives. Suitable for vegetarians, vegans and raw food fans. Preparing a delicious green smoothie couldn’t be any easier! 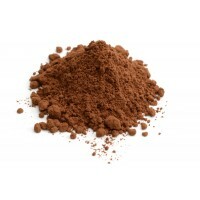 Simply stir a small amount of powder into a glass of cold (spring) water and it’s good to go! Alternatively mix into your choice of smoothies and juices. cool, dry place. Once opened, consume within 2 months. 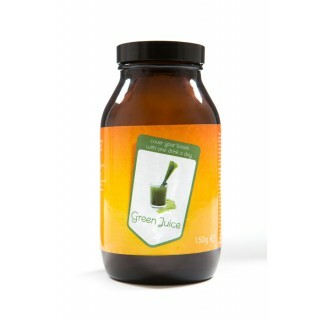 Superfoodies Green Juice contains 26 delicious ingredients! 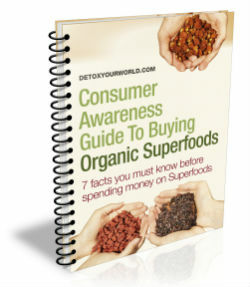 Do not buy Superfoodies Green Juice if you have an allergy to any of the product’s ingredients. Always read the product information on the packaging thoroughly, before choosing to drink Superfoodies Green Juice. Packaged in an area where nuts are processed. 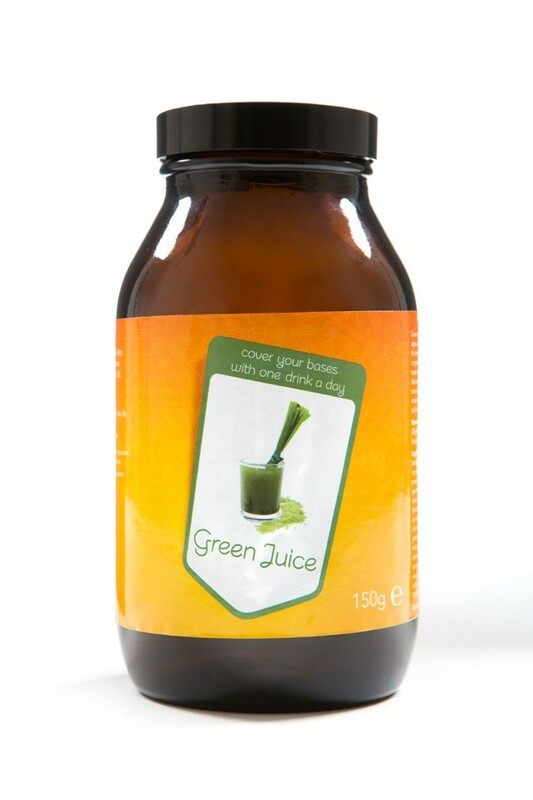 Always consult your GP before choosing to order Superfoodies Green Juice, especially if you suffer from a disease or condition, or are in any doubt as to whether you can use this product. Women who are pregnant or breastfeeding are not recommended to exceed the maximum daily dosage.